Fortune REIT's FY17 distribution slightly ahead of our forecast. Rental reversion healthy at > 12% in FY17. First phase of AEI at Fortune Kingswood commencing in 2Q18. BUY with HK$10.68 Target Price. Fortune REIT's FY17 distribution income grew a modest 3.8% to HK$971m, slightly ahead of our expectations, and mainly driven by higher rental income. Full-year DPU rose 3.1% to HK$0.5078. Total revenue rose by 2.8% to HK$2,030m thanks to positive rental reversion. In FY17, Fortune REIT achieved rental reversion of 12.8% upon renewals (1H17: 10.7%). Tenants in food & beverage, education/tutoring centers, and real estate agent trades delivered better than expected rental reversions. Portfolio occupancy improved to 98.1% in Dec-17 (Jun-17: 96.6%) led by higher occupancies at Laguna Plaza, Hampton Loft and Provident Square. Tenant retention rate was high at 78% reflecting the REIT’s focus on retaining quality tenants. With cost-to-income ratio improving slightly to 26.0% in FY17 from FY16’s 26.4% led by lower utility costs, net property income (NPI) grew by larger 3.3%. Cash interest expense rose 1% to HK$263m. Gearing improved to 27.4% in Dec-17 from Jun-17’s 28.4%, aided by revaluation gains on investment properties. Interest cost for c.60% of its debt was hedged through interest rate swaps and caps. Furthermore, c.70% of total debt was unsecured, giving the REIT more financial flexibility in pursuing debt-funded acquisitions in the future. In Dec-17, Fortune REIT agreed to sell Provident Square in North Point for HK$2.0bn. Part of disposal proceeds from Provident Square (HK$1.1bn) will be used to early repay the term loans maturing in Apr-19 with an interest rate margin of HIBOR+140bps. Following the debt repayment, Fortune REIT’s gearing would have further improved to c.25% with no refinancing needs until 2020. Fortune REIT will embark on asset enhancement works at Fortune Kingswood in Tin Shui Wai in 2Q18 with an attempt to reposition it into a regional shopping and entertainment hub. The first phase involves the West Block of the mall including the reconfiguration of a large supermarket space with budgeted capex of HK$150m. This exercise could lead to short-term income loss but enhance the mall’s long-term competitiveness. Fortune REIT offers distribution yields of 5.3-5.4% for FY18-19. 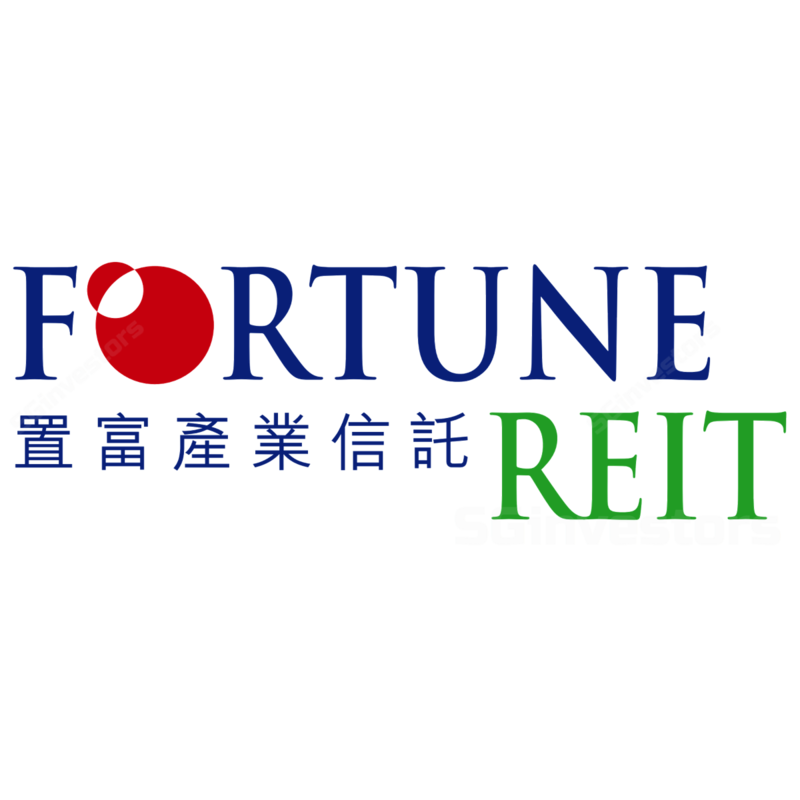 With c.61% of monthly rentals derived from non-discretionary trades such as F&B and supermarkets, Fortune REIT's income should stay resilient and hence we maintain BUY rating with DDM-based Target Price at HK$10.68.